The recent World Rowing Championships in Sarasota included events for athletes with a range of disabilities. Para-rowing or adaptive-rowing events sit alongside the main program of events in the international calendar. Great Britain has a strong presence driven by an active recruitment policy. Under FISA rules there are 9 possible races across three disability categories – PR1M1x, PR1W1x, PR2Mix2x, PR2M1X, PR2W1X, PR3Mix2x, PR3Mix4+, PR3M2, PR3W2-. Para-rowing has gone through many changes recently, most significantly a doubling of the course length from 1,000m to the full 2,000m. Sarasota was the first major event to feature the new distance and the medal split changed as a result. In 2016 GB took three out of the four golds at Rio whereas at Sarasota the golds were shared between Great Britain, Australia, Netherlands and Norway. In all, there were 11 countries on the para-rowing medals list at Sarasota, up three on Rio last year. 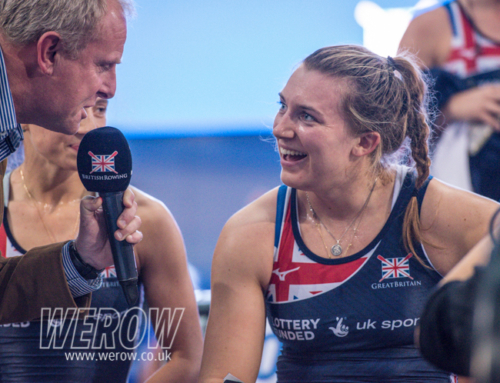 Great Britain have dominated the PR3 Mix4+. 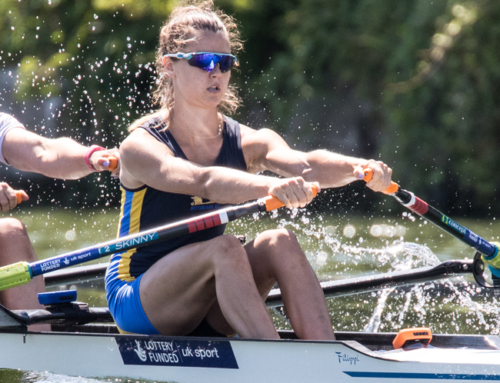 Grace Clough and James Fox, who have been teammates for the past three years and won Paralympic gold at Rio 2016, remain undefeated at international para-rowing events. In Sarasota Clough and Fox, together with Anna Corderoy, Oliver Standhope and Giedre Rakauskaite stormed to gold in world record time. 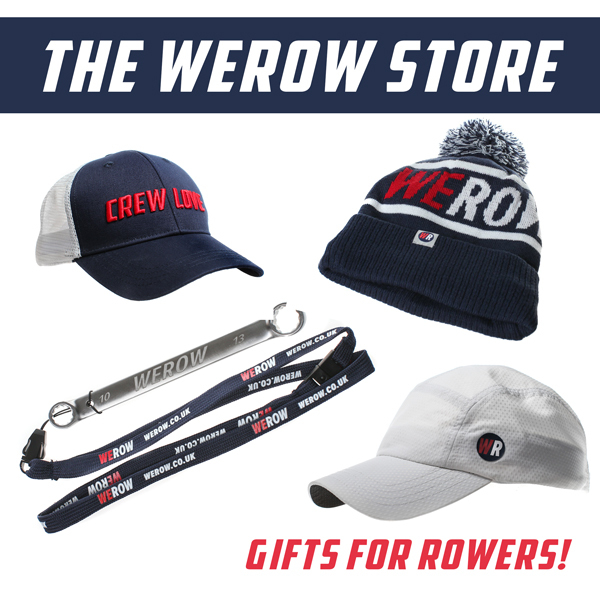 The crew are coached at Caversham by Nick Baker who was instrumental in the success of para-rowers Tom Aggar, Lauren Rowles and Laurence Whiteley. There was no entry in the PR2 class from GB in Sarasota and the Mix2x event was won by Van De Meer and De Koning of the Netherlands. Britain’s Laurence Whiteley and Lauren Rowles won a Paralympic Silver in the same class in Rio. In the PR1 class Andy Houghton finished 4th in Sarasota behind a very strong Erik Horrie of Australia. 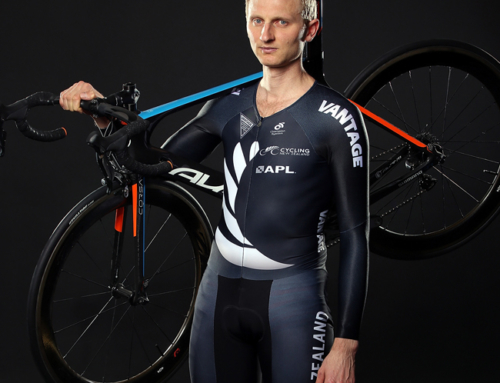 Race favourite Roman Polianskyi of the Ukraine couldn’t find the magic that had propelled him to Paralympic Gold at Rio. Andy Houghton is somewhat of a veteran in para-rowing with four World Cup Regattas under his belt. After a recent break from the sport he’s now back and aiming for Tokyo 2020 and working hard on the new 2,000m distance. These athletes have physical impairments, visual impairment and/or intellectual disabilities. This sport class is for rowers who have the use of their legs, trunk and arms who can use the sliding seat. Intellectual impairment is not an eligible impairment for competitions operating under FISA rules. This sport class is for rowers who have trunk and arm movement but who are unable to use their legs to propel the sliding seat. 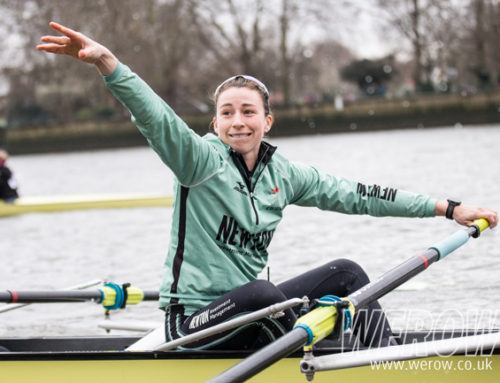 This sport class is for athletes who row predominately with their arms and shoulders. 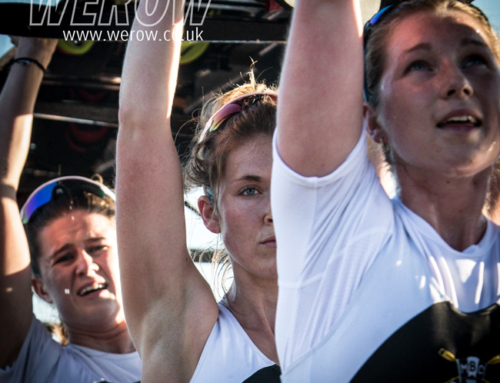 Athletes use strapping around their mid section to provide support and stability in the boat.